The world can’t seem to believe that Maria and Lucy Alymer are not only sisters biologically, but were born fraternal wins! Since being published in The Daily Mail, pictures of the twins have gone viral, sparking a discussion on race. Although we’re not surprised that biracial twins can be born with different amounts of melanin in their skin, others are shocked to discover that we’re (read: Black people) not always what we appear to be culturally or ethnically. If you refer to the family photos of the Gloucester, England natives, Maria looks physically closer to her other sister Chynna and two brothers Jordan and George, as they all had brown sugar-colored hair, matching eyes and tan(ner) skin. Lucy was the anomaly, born with pale skin, strawberry blond hair and blue-ish eyes. 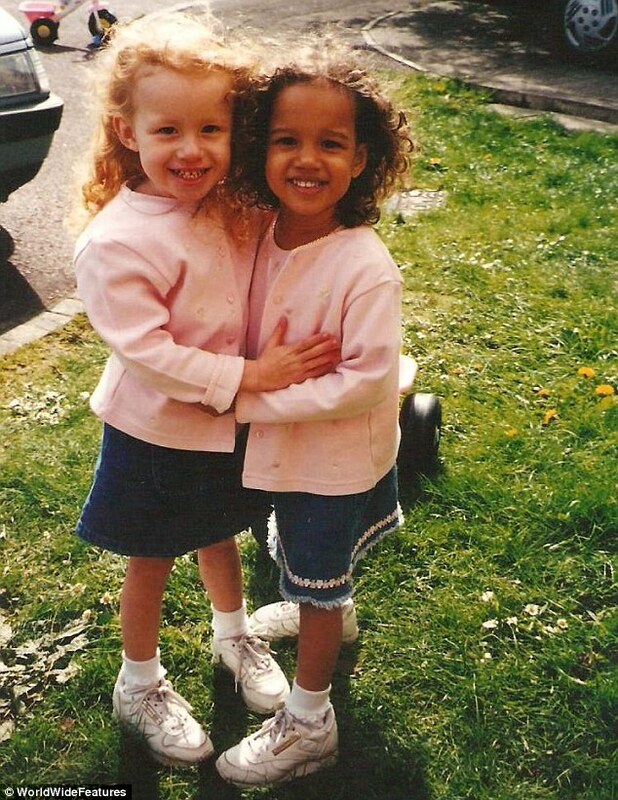 But the twins were as close as sisters could be, and we can see that in their beautiful childhood photos. The story has amazed the U.K. so much, the Alymer twins also appeared on Good Morning Britain and now America. As CNN reported via The BBC, the Alymer twins’ racial makeup is 1 in 500 chance. In America, seeing families of different shades are quite visible, but television has had its fun with family blending. On That ’70s Show, the character Steven (Danny Masterson) had a Black dad, played by actor Tim Reid. And his sister on the show, Angie (Megalyn Echikunwoke) was Black. hey may not be twins, but this does indeed happen. We think the twins are super cute!